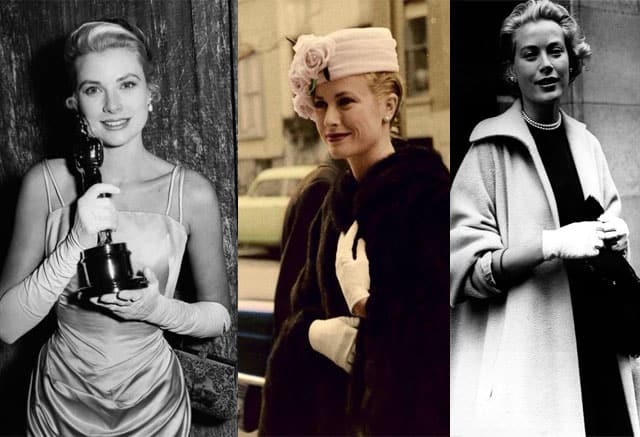 Grace Kelly is American actress, winner of the prestigious award «Oscar», the wife of Prince Rainier III of Monaco and the most cash actress of her time. We decided to find out the secret of charming Grace, and examined her style of photo archives. Grace Kelli is embodiment of refined taste, typical of a real princess. Her style as a model of elegance, immortalized on the Walk of Style in Los Angeles. Always impeccably dressed and appropriate, Hollywood star looked exquisite in a homelike atmosphere, and at dinner evenings. 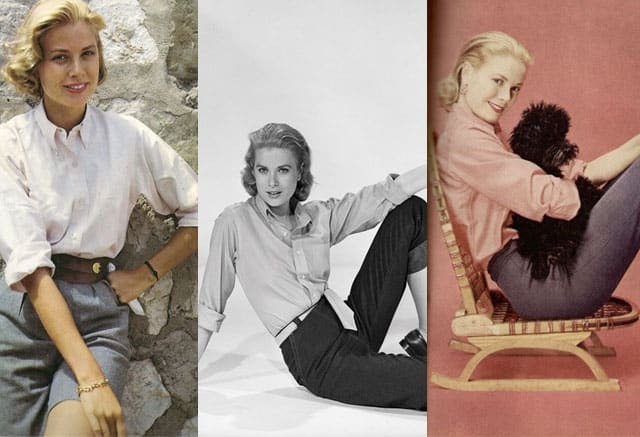 Grace Kelly was born and raised in a wealthy American industrialist family and from an early age showed everyone that has an incredible tenacity and refined sense of style. Her images, and to this day are the inspiration for the editors, designers, directors, costumers and girls around the world. Kelly’s name forever will be associated with the legendary wedding dress, the most famous bag Hermes, snow-white gloves, art accessories and wearing glasses. 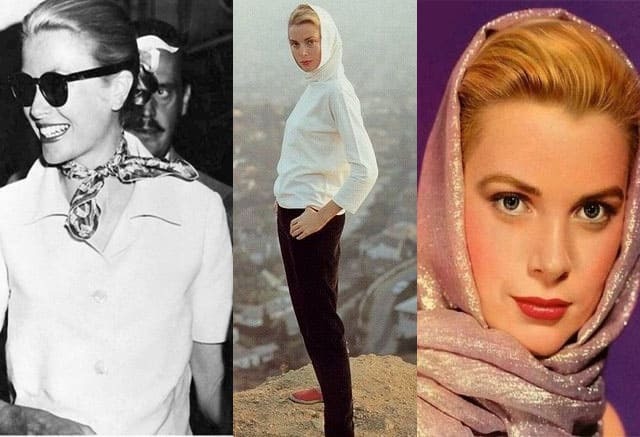 Grace Kelly never appeared in public in fanciful costumes unusual cut. The taste of the future movie stars formed since childhood: the girl grew up in a family of millionaire sportsman and model with strict views on the education of daughters. Grace stuck conveniently beating their way of matching accessories. The classic shirt has been a favorite article of clothing. 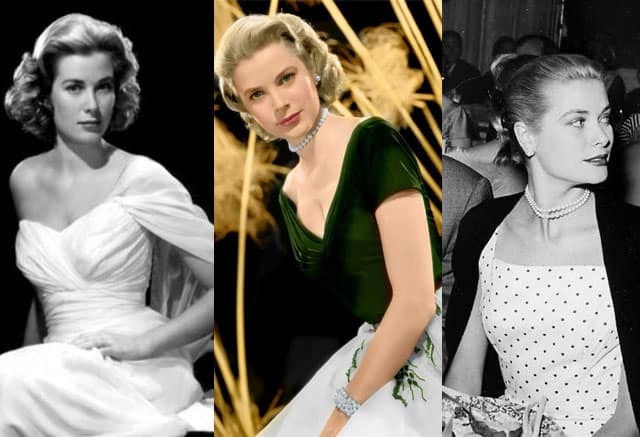 Wide light skirt, focus on the waist, elegant shoes, lace inserts, flowing materials — Grace Kelly dressed unusually feminine and gave the impression of fragile fairies. And in her outward appearance, few could guess that hiding behind tenderness marshmallow energetic purposeful girl. Maximum natural makeup, expensive fabrics, garments custom haute couture, at least gold and diamonds. She knew a lot about how to look like a queen. It style has left more than a kilometer of silk taffeta, meters 125-year-old Brussels lace, pearls and a huge amount of monthly diligent design work. 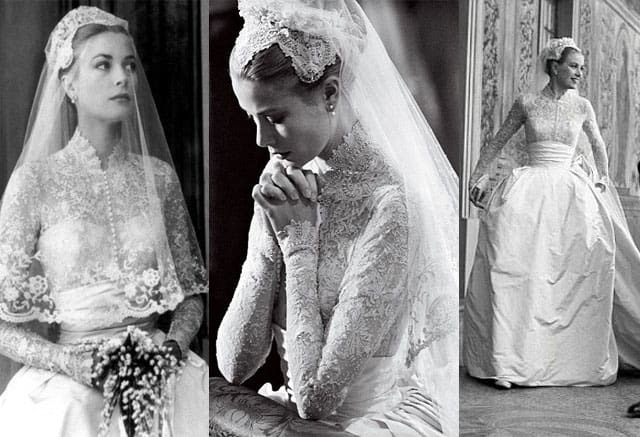 Grace Kelly’s wedding dress was recognized as one of the most expensive in the history of wedding dresses. With this masterpiece in many associated Kate Middleton’s wedding dress. Tommy Hilfiger believed that no one knows how to naturally and gracefully wearing white gloves, like Grace. She preferred to short during the day and in the evening – extended. This model was created in the late 30s of the last century, but gained popularity only 20 years later when Kelly used it to hide the slightly rounded tummy during pregnancy. Intrusive paparazzi finally paid attention only to the bag. In ordinary life, Kelly almost never wore hanging earrings, preferring a more elegant and neat. 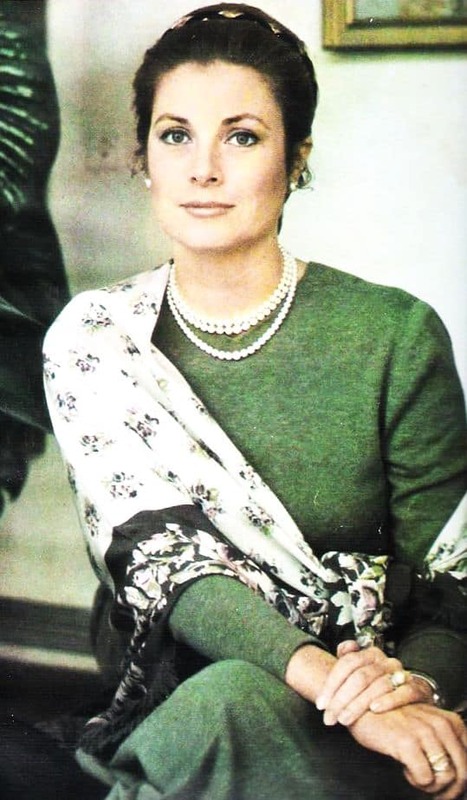 String of Pearls, thin strap, interestingly tied a handkerchief or scarf — Grace loved doing accents. 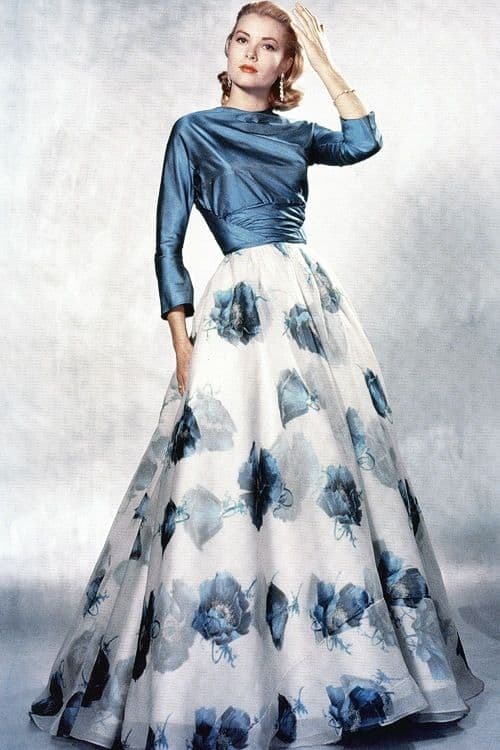 Grace Kelly in silk long sleeve blouse with floral maxi skirt is the easiest way to show your beauty and femininity are worthy of a princess. Grace Kelly in green casual dress with pearl necklace. Romantic and cute image.